I did do a lot of sightseeing, but since I’m a book nerd, I also peeked at some bookstores in different lands and took pictures. This is an image heavy post. Click to embiggen. 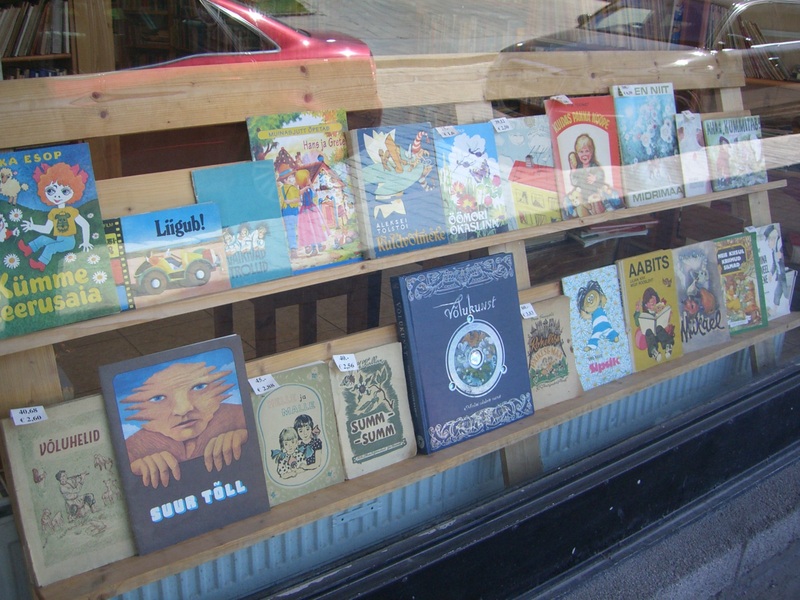 Here’s a book display in Tallinn, Estonia. Lots of fairy tales. 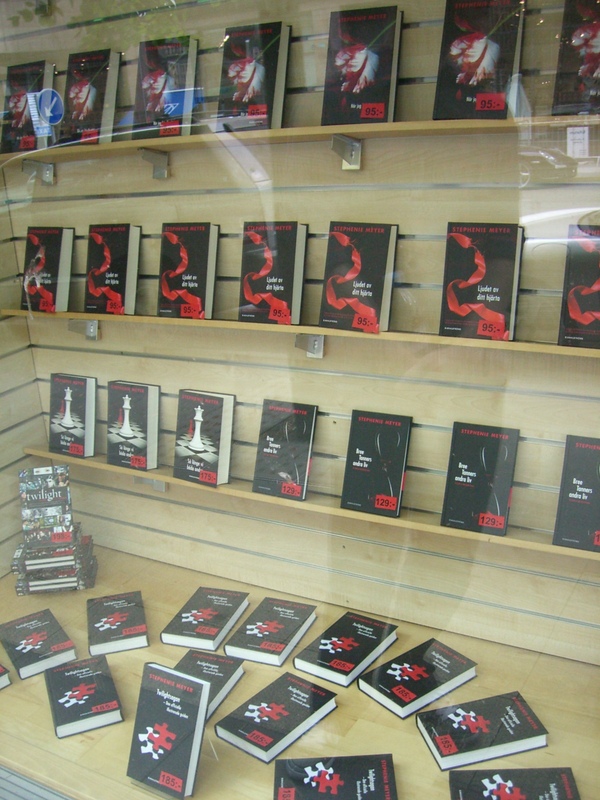 I didn’t go into this bookstore. Kind of wish I did. 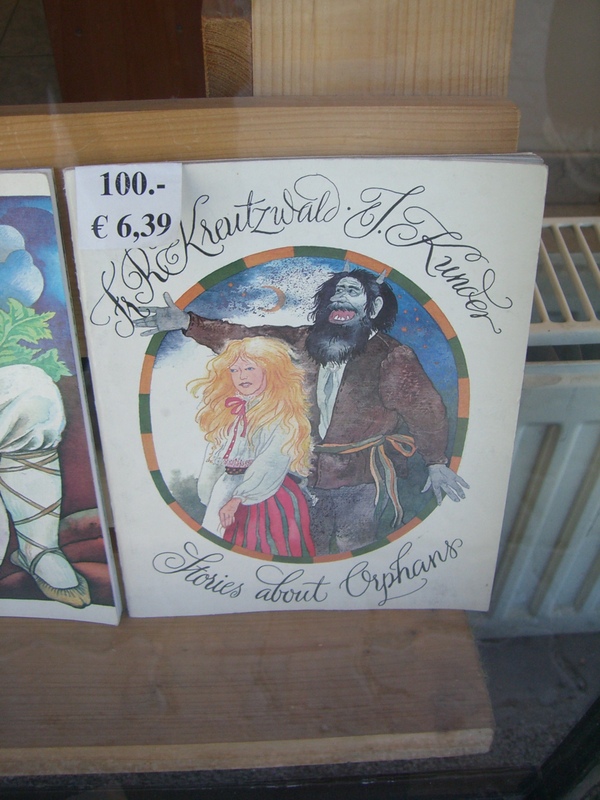 I was particularly intrigued by this storybook that seems to be very specific. 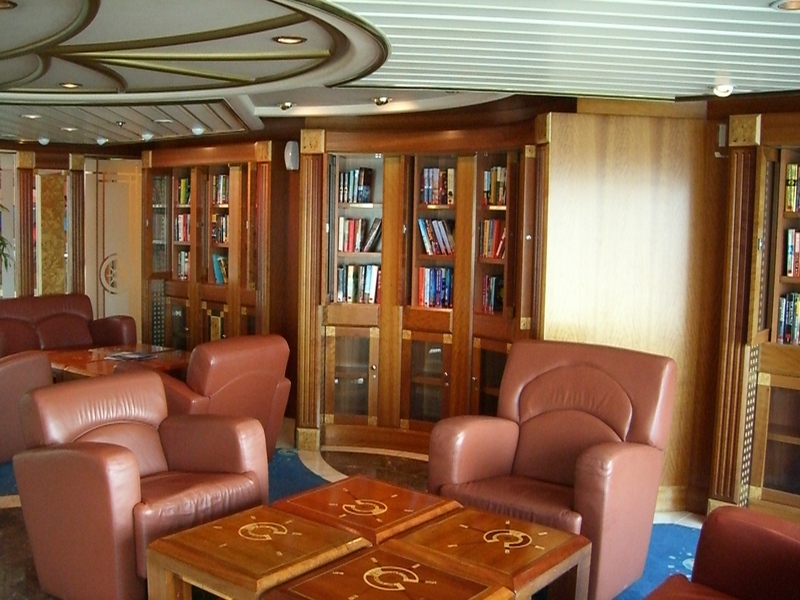 I mentioned the cruiseship’s library right? I totally got a room RIGHT NEXT TO IT. 🙂 Yes, on purpose. Thought it would be quiet. Sadly it was also right above the nightclub area and they played music till the wee early morning hours. I got used to it but night one I entertained thoughts of murder. 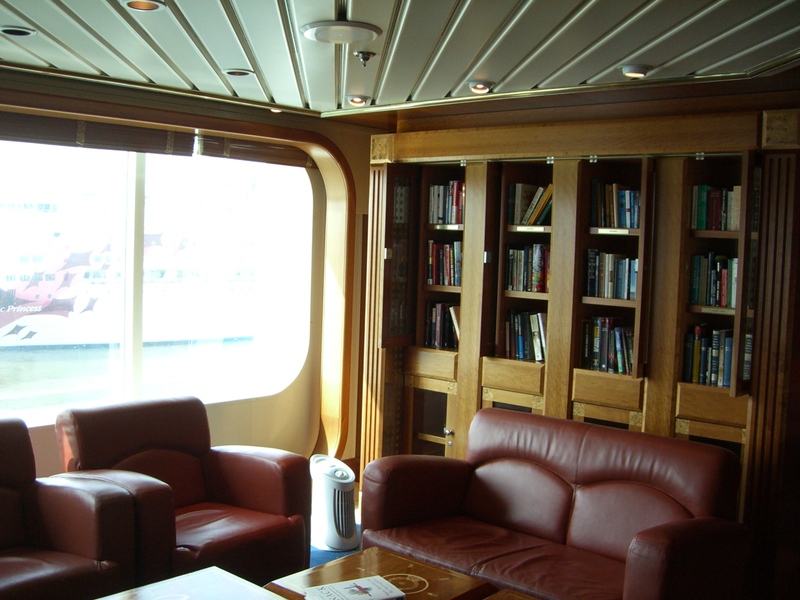 This is the inside of the cruise library. Quite swanky no? These 3 bookshelves were the fiction section in english. 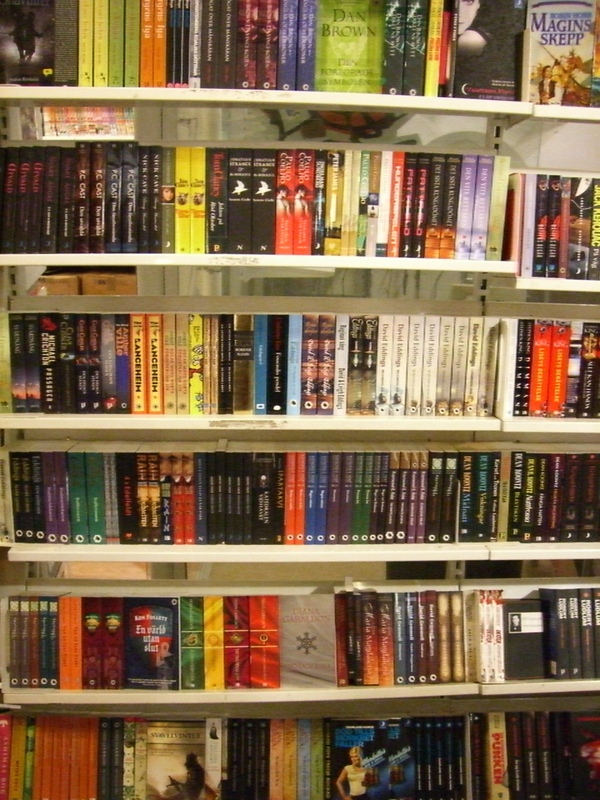 I was impressed by the book selection – only books released in the past 3 years, but some books were mid-series. Lots of large comfy chairs but strangely really close to the bookshelves so it was hard to maneuver around and look at the books. The library had big windows to look out. The air filter there is because the library doubled as a cigar smoking lounge from 9pm to midnight. I was appalled. Books and smoke? The air filters do a good job though, the smoke smell was very very light. But still. 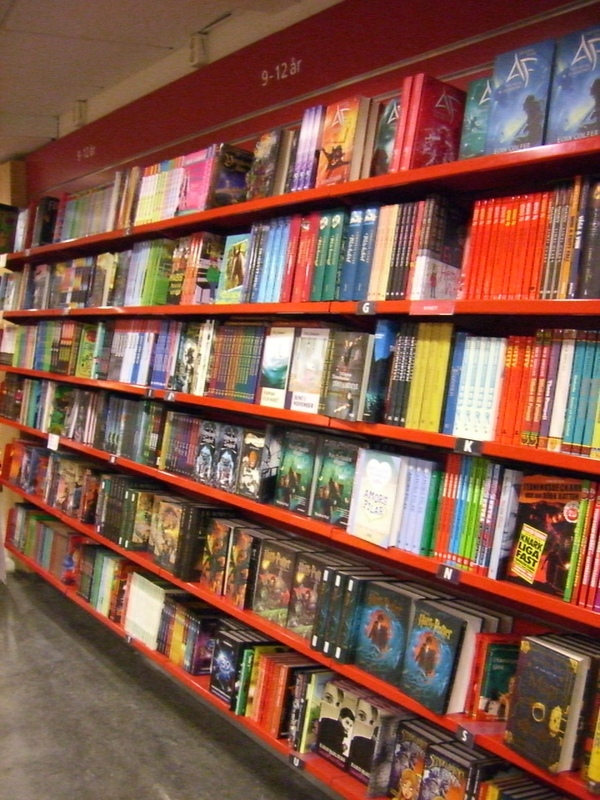 This side had non-fiction and non-English books. The center bookshelves (not pictured) also had more non-fiction/non-English plus a book swap section. Check out/in. Very informal – you write your name and the book. I saw people returning books from their “last cruise”! 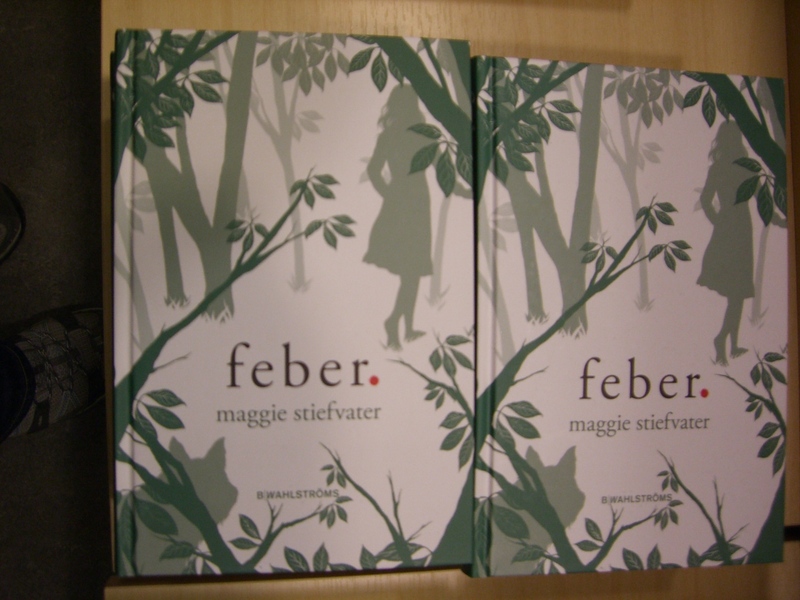 It was in Sweden that I popped into 3 bookstores and actually took pictures (I went to 2 bookstores in Copenhagen but didn’t take pictures… *hangs head*). This is one of them. 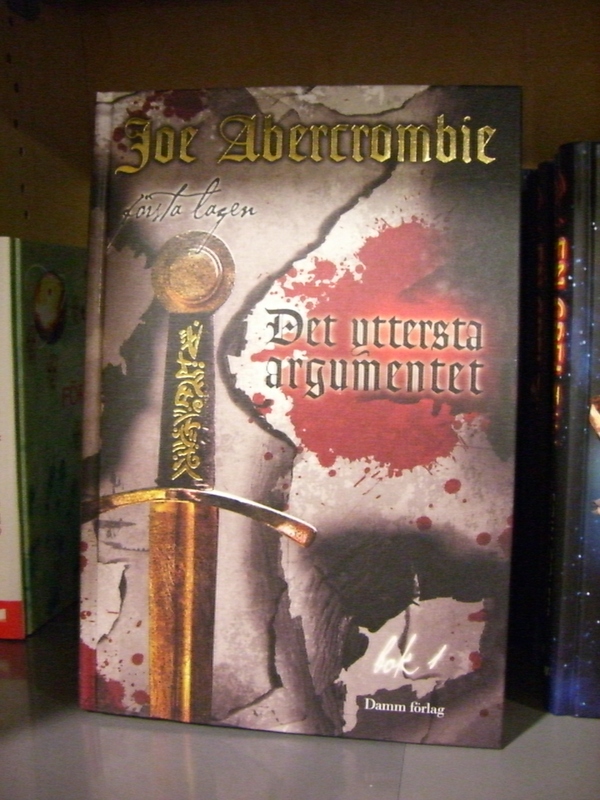 SF/Fantasy in Swedish. Hello, Graceling! I think this is Joe Abercrombie’s Heroes ? Not sure. Translates to “The Ultimate Argument”? 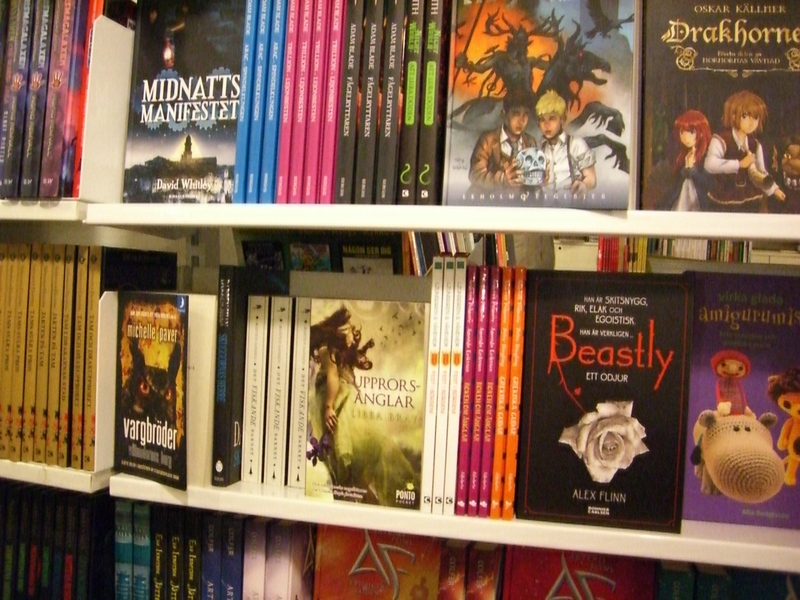 Middle grade section. I see Harry Potter books there. In a very touristy section of town – randomly, a SF/fantasy specialty bookstore. They had a lot of U.S. versions of books in here. 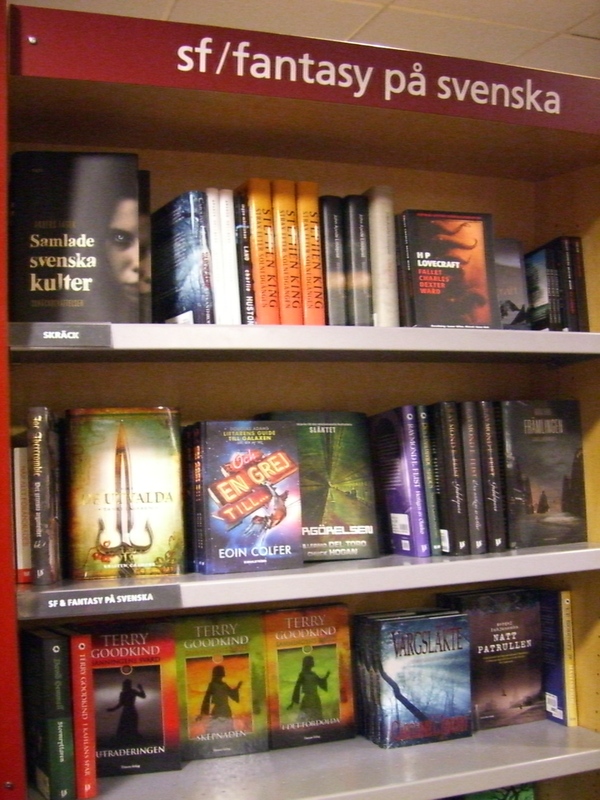 A bunch of fantasy books in Swedish. I see David Eddings, Robin Hobb, and P.C. Cast for starters. DANG! I was hoping they had a real librarian on the cruise ship. I’da been searching for jobs on one! 😉 I always try to visit the local library when I go anywhere. The Seattle library was AWESOME ! Loved it! Cool pics! I know, right? No real librarian, although it has to be part of someone’s job to decide what books get bought for the library. I think a real librarian would be a little ticked off by the use of the library as a smoking lounge in the evenings though. 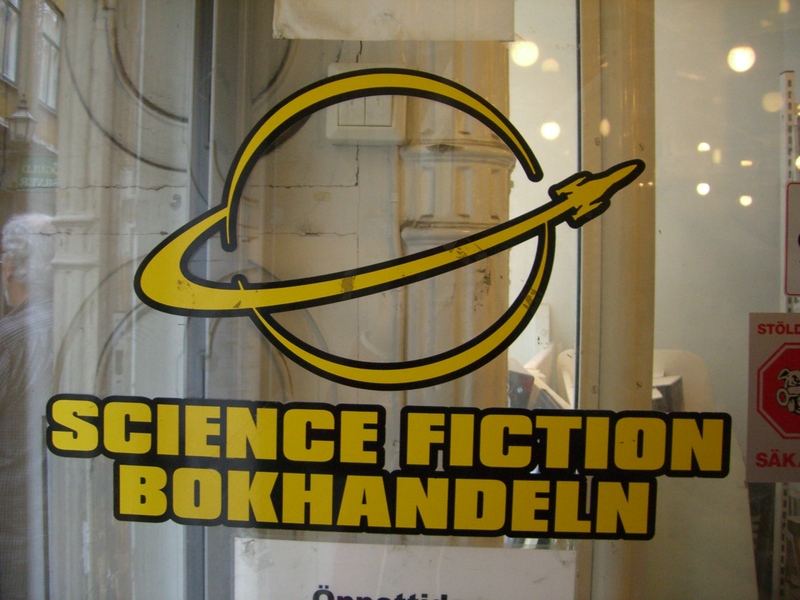 The science fiction/fantasy one? Yes…! Really great selection there. I kind of did a real fast hop-in hop-out with these bookstores though. I didn’t want to drive the husband absolutely crazy and I told myself there’s always the book depository for English books I can’t get in the US, otherwise, I can’t read Finnish/Swedish/Russian. Yup, totally nutty. I would have gone up to $100 for unlimited internet but $150 with a cap of 500 min for a week (oh plus, you have to go to certain areas of the ship to get it, and my room was not such an area!) – it was just too much money for what you got. Ooh. Love all the foreign bookstores and editions. Thanks for taking the pix and sharing! Looks like you had a good time. What’s cool is that I think that every single one of these bookstores has a website. Just google their names. 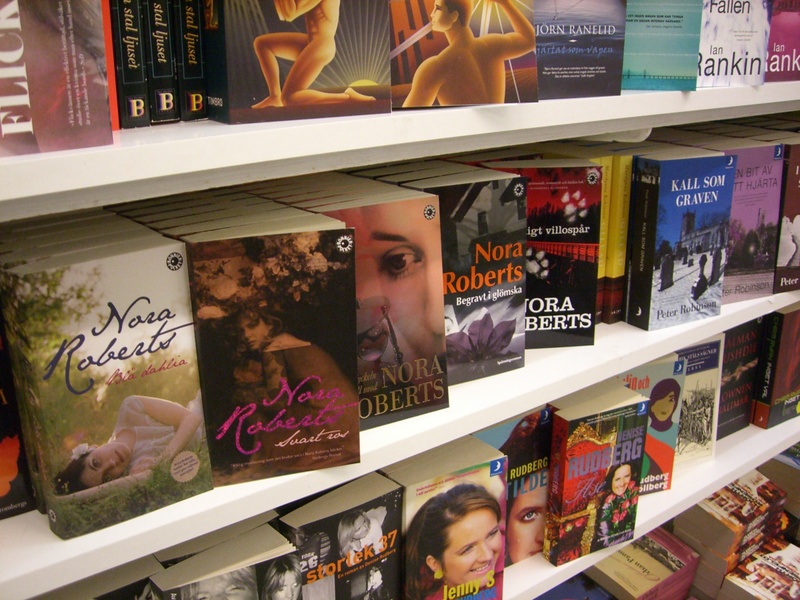 I even found the website for the Estonian bookstore. Which makes me feel like they’re not really half a world away if I can visit them online. I seriously love the internet. That looks like fun! 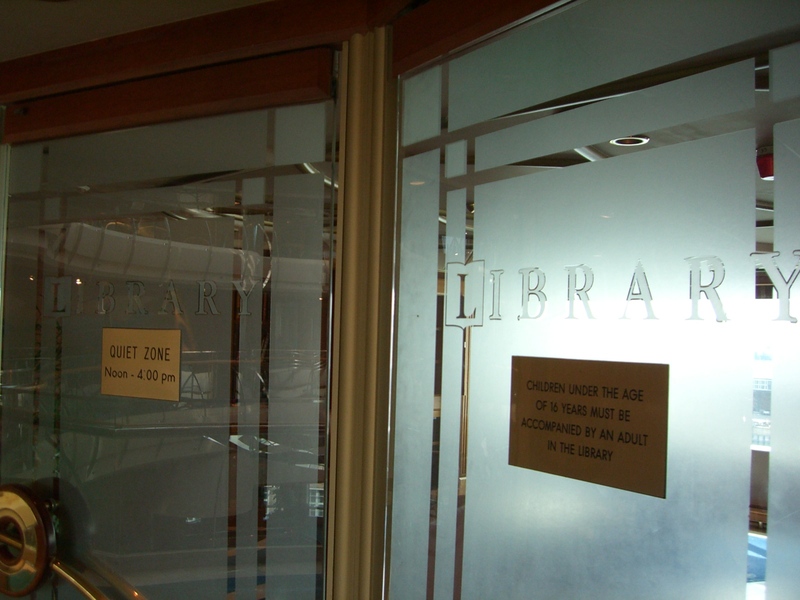 That’s awesome that the cruise ship had a library. It looks very nice (although I’m also a bit disturbed by it doubling as a smoking lounge). The library filled my book-nerdy heart with joy at it’s existence, but if I had my way? A lot more books would be there! But I thought the selection was pretty varied for the number of books there. 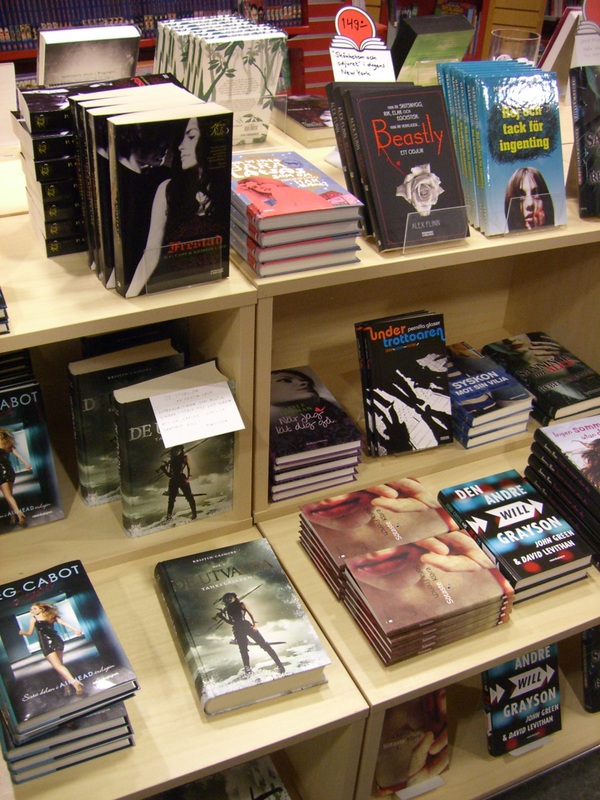 They had a decent mix of genres and they were books released in the past few years. The smoking lounge really is odd. I don’t know why they didn’t use the card/game room which was across from it instead. It was just as big. Yes, do take book pictures, and post them, I’d love to see them. Where are you going for your big trip? 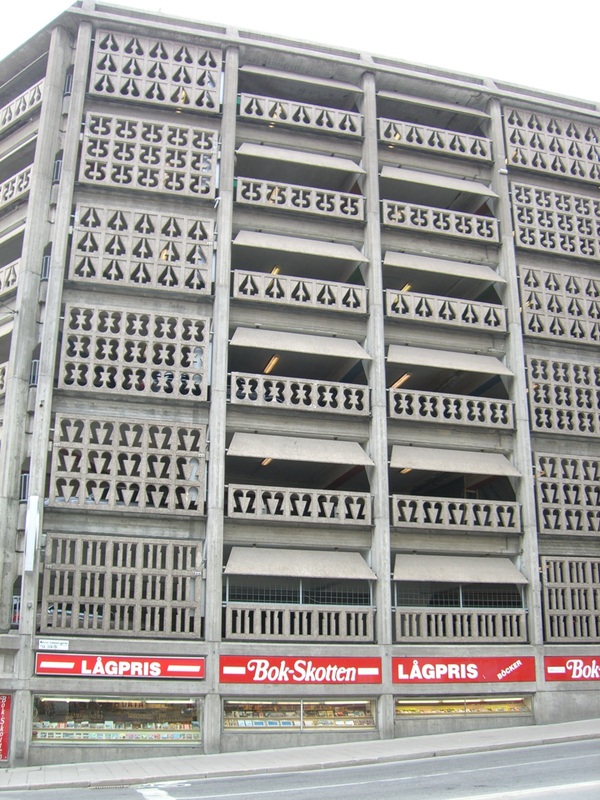 The Swedish bookstores look wonderful! It’s so cool that you took the time to take pictures of them. Yup, you should have seen me – zooming towards anything that looked like a bookstore. I learned the word “bok” really fast. Hee. And the husband was very indulgent when I suddenly changed course and walked quickly away. Wow, that library looks awesome! I think it’s great that you got to borrow Sugar Queen from them. Isn’t it fun to visit foreign libraries? 🙂 I did that in Thailand and I had fun trying to recognize the titles. We don’t get Philippine editions of books here since most people read in English anyway. I sure did. He said he really liked it. He was wondering if I brought the second book with me but I hadn’t. Yay, your strategy worked! Maybe he’ll be encouraged to read the sequel now that you’re home? Hubby liked MWT? Awesome. I’m just hoping to convince him to watch Jane Eyre with me because *gasp* he’s never read the book or seen a single adaptation. 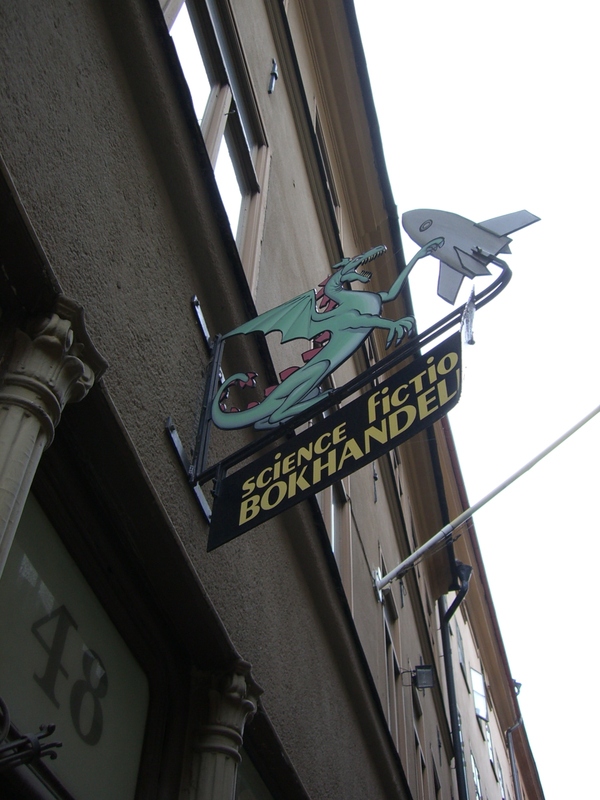 Anyway, I love this post and all the bookish photos-makes me wish I would’ve done this pre-blog when I was in Europe. What a cool cruise! I’ve only been on a Jamaican one, of which I wasn’t terribly fond. And what?! The library doubles as a smoking lounge. Really, wth? Lol. Can’t wait to hear what you thought of Sugar Queen. I’ve been meaning to read SAA forever. Glad to have you back. Oh and lastly-sorry to be so rambling-have you had a chance to read any of the Manning yet? I’m so curious to know what her YA is like. I felt very stealthy, taking pictures. Glad no one gave me grief about it. I’ve been told I couldn’t take pictures when I was in supermarkets, so I try to be sneaky about it now. I KNOW right? Smoke and books, that’s downright sacrilegious. They do have doors on the bookshelves, but I don’t know if they close them for the smoking? 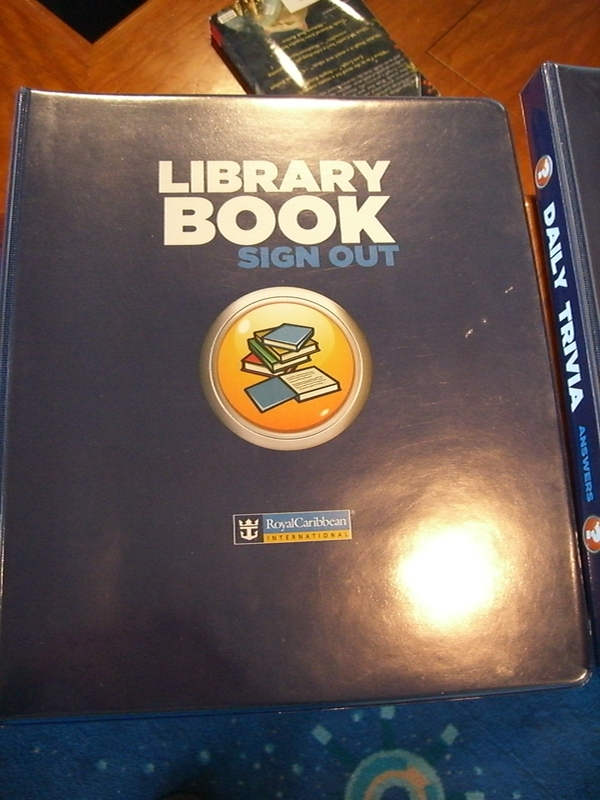 The library book I borrowed didn’t smell smokey, but there was a verrrry light whiff. No, I came close to bringing a YA Manning with me, but I kind of cut myself off after 4 books plus the nook. This was willpower. I think I want to try LET’S GET LOST first, because Sabrina just posted a great review of it. Ah, yes, I figured that. My husband did like Jane Eyre, so one man who has been dragged and who never read the book did like the movie. You can use this info as you will to convince your husband. Thanks! I’m glad to be back too. Enclave.. I must have it. I think I know what I should use my 40% off coupon from Borders on. Hmm! Welcome home! 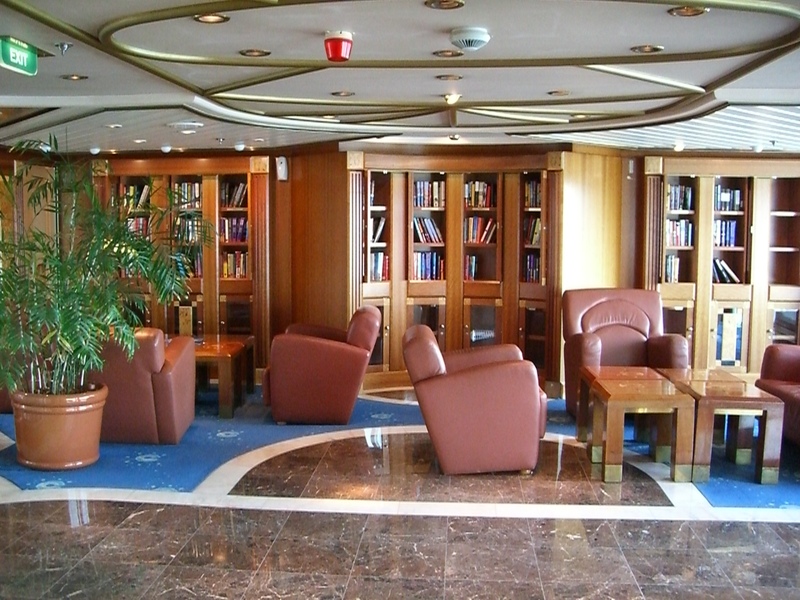 I love the pictures of book places abroad–especially the library on the cruise ship. That’s pretty cool. Aside from the smoking bit, but I suppose it makes sense to maximize the usage of space on those ships. I know what you mean, I’m not sure I’d have read so much if it wasn’t for the traveling to places bits. I read on the plane and then when the boat had 2 full “at sea” days which meant all our activities were limited to being on the ship. And the husband wanted to go to the casino which I have no interest in, so we each did our own thing. I’m loving the international book love!! That’s awesome your cruise had a library! Where did you travel to? I traveled to Denmark, Estonia, Russia, Finland, and Sweden. Really liked it. Where did you go in Europe? Thanks for sharing all those wonderful bookish photos with us! I’m glad to hear that you got to get away and enjoy a little vacation time on a cruise! 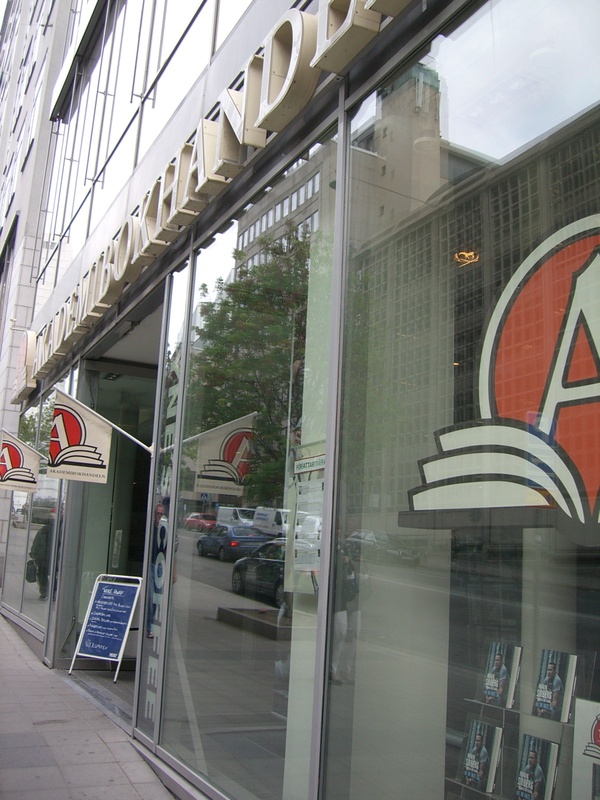 Ah, it was fun to have an excuse to go see books (“This would be an awesome blog post! No, I am not just addicted to bookstores!”). A vacation was just the thing I think, I felt so relaxed. Too bad we had to come back. I’m sorry I missed you at BEA this year. I would have liked to say hi in person, but there are so many people, it’s difficult to find the ones you “know”.